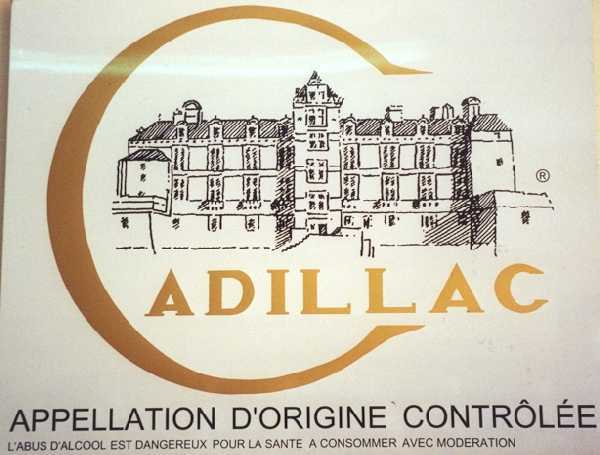 In the Bordeaux region of France there is a portion called "Cadillac". The Cadillac wines are known for their sweetness and the yellow color. made in the adjacent area on the other side of the Garonne river. 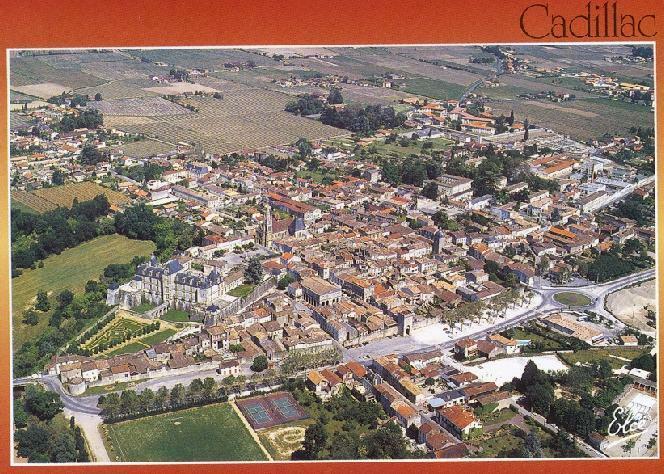 One of the cities in the Cadillac part of Bordeaux region is the city of Cadillac. including a map of the area. on May 25th of 2000.